July 17, 2017 - A tourist in the Shetland Isles, Scotland, made an unlikely friend—a puffin. 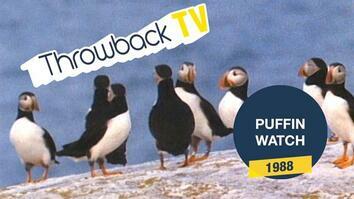 Atlantic puffins live most of their lives at sea, and they only come onto land to breed. 60 percent of the world’s population lives in Iceland, and they have been historically hunted for their feathers and meat. The bird showed no signs of fear, even stopping under the tourist’s leg and tapping at her camera lens. 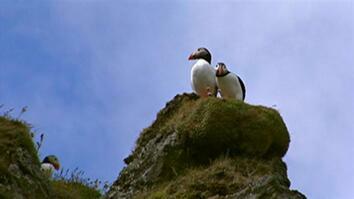 After a few minutes the puffin wandered off, leaving the tourist with an unforgettable experience. Click here to read Watch This Curious Puffin Befriend a Tourist.